This might sound rash. I'm going to suggest you basically demolish your island. Say your goodbyes, because you're about to go on a tree murder spree, you criminal. As Patricia already highlighted in her handy How To Make Mounds Of Bells And Then Roll Around In It article, the island is where you want to go to make lots of cash off of beetles. But occasionally there are pesky fruit beetles that aren't worth making the trip back to your town, or butterflies that get in your way when you're on the hunt. Cut down all the bushes and pluck all the flowers. This minimizes how many bugs you have crawling on your island, because you're only really looking for those big, shiny beetles. I felt kind of bad about this personally, so I opted to keep one bush and the flowers. I still get butterflies, but not nearly as many. Cut down most of the trees on your island. You're only going to leave two palm trees and two oak/fruit trees towards the front of the island. You'll want them in as straight a line with one another as possible for easier viewing/more efficient hunting. The trick here is that the game will spawn beetles around the island, but with only four trees for it to pick from, you're creating an ideal tree set-up to best catch the most beetles in the least amount of time. It's basically like your own trap. Continue down on the left side and this is one of two palm trees you will keep. Keep on going and cut these two trees down. Cut one, keep the other. In the middle of the island, cut that middle tree down. And get rid of the bushes (and flowers, unless you felt guilty like me). And, finally, cut all four of these guys down, too. Including the oak tree sitting on the grassy area of the island. With this minimal tree set-up, you won't scare the beetles off as easily when approaching them, because you can run back and forth on the opposite side of the island and approach the beetles head-on rather than running around the island to get to them all. Though I'll often run around anyway in search of finned fish while waiting for more beetles to spawn. You just have to slow to a walk if you're approaching them from the opposite end of the island. Stick to this method and you'll be bringing home hundreds of thousands of bells per island trip. Makes that 1G cost seem like pennies, doesn't it. Keep in mind, this is just my suggestion/preferred set-up. Do a bit of googling and you'll see others online suggest you chop down all the oak trees. I prefer to keep them up because they often spawn Dynastid beetles and some other lower-tiered bugs that are still worth gathering. Have tips of your own? Drop 'em below. 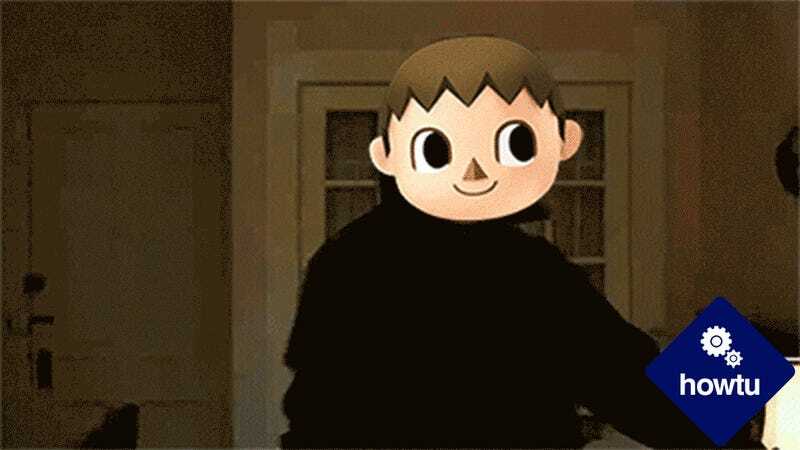 Side note: did you know we have a Kinja blog dedicated to Animal Crossing? It's basically just a bunch of dumb screenshots uploaded by myself, Kirk and Patricia. Ok mostly it's been me so far. Top image modified from Reddit.